I'm not one to jump on the bandwagon and buy something, just because other people do it. If you do there is nothing wrong with that, so please don't get offended. Now if there is a product that I really want that's a different story. A while ago I brought the Carli Bybel palette from BH Cosmetics. If your thinking, "why is she talking about this now" I get it. The reason I didn't talk about this palette before was because everyone else was and it can be repetitive. So I figured better late than never, right? 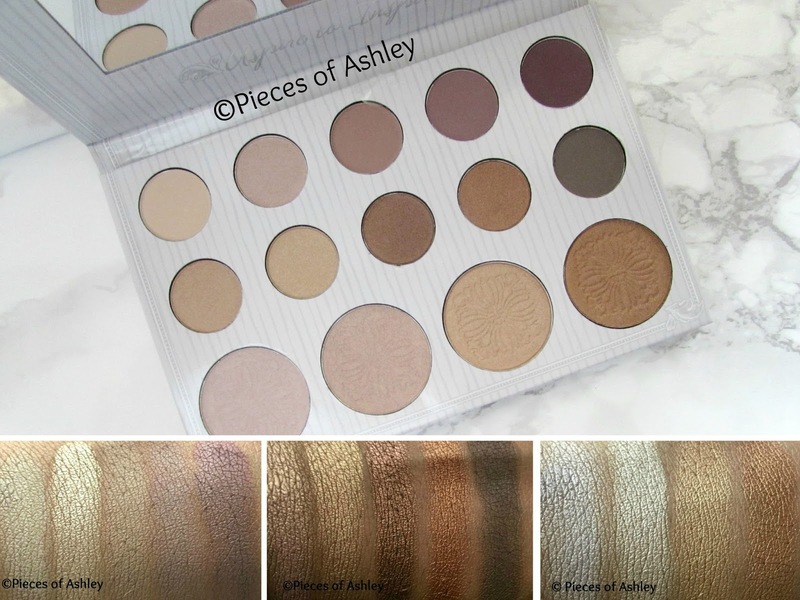 Before I talk about this palette, I'm going to start off talking about the person behind this palette. I would also like to state that this is not a sponsored post. I say this because it's ok to admire someone and a product they create without them knowing or compensating you. I began watching Carli Bybel a few years ago and I became a fan. I obviously don't know her, but she seems genuinely nice and true to herself. So when her palette came out I knew I wanted to get It. I'm glad she collaborated with bh cosmetics because I love their products. Enough of my rambles, I'll continue on with my review! The front of the palette is simple and pretty. Sometimes the design of a product can look over the top, so I like this a lot. Now when I open the palette, the colors are neutral and I love neutral colors. If you're like me you don't wear a lot of makeup, so this is a plus. Although the palette is the same for everyone, we all have different skin tones. Now for me in the past, some eyeshadows just didn't favor my skin. Has this ever happened to anyone else? What may work for one person may not for the next. Fortunately, I don't have this problem with this palette. The colors are still vibrant and gorgeous. The fun part was swatching, these eyeshadows and highlighters. As soon as I swatched these colors I fell in love with them. They may look neutral, but it's far from that! These colors are so pretty but last two rows are everything. If only you could see my excitement. The first row consists of light colors to purple colors. In my opinion the first two colors are perfect for under the eyebrow, but everyone's preference is different. These two colors can also be used as a base for the darker colors, giving them an extra pop. The second row and last of the eyeshadows are my absolute favorites. These colors are perfect for fall and I love the shimmer they have. I'm a fan of neutral colors, when it comes to makeup so I don't really care for the bright colors. So I like how these eyeshadows give the right amount of pop, but not over the top. The third row and last of this palette is beautiful. These highlights are gorgeous! I don't wear any face makeup so I'm not sure how I could use this. I might use these as eyeshadows, I know these are not meant for that but I'm a rebel. Overall these eyeshadows are pigmented; the last two rows are more pigmented in my opinion compared to the first row, but that is only because my skin tone is tan. So it might be different for someone of a lighter tone or someone of a darker tone. I can't wait to do some fall eye looks and share them with you! 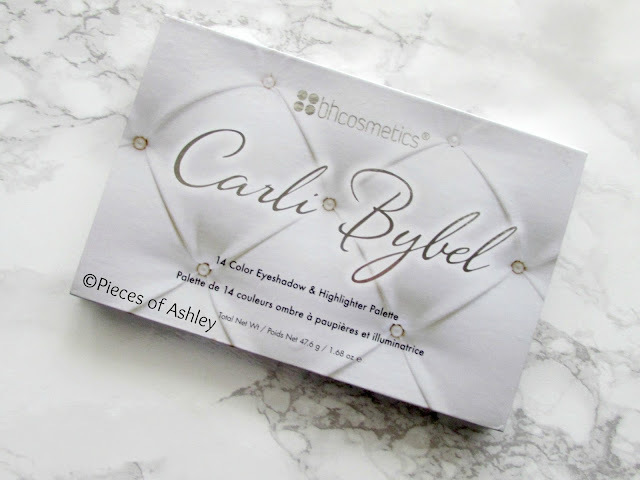 I hope you enjoyed reading and if you have the Carli Bybel palette feel free to share your thoughts.